As some of you may know, the husband and I celebrated our very first year of marriage this past Monday! We had a glorious weekend of hiking, playing outside, and enjoying each other’s company while cooking together. The appetizer was one reminiscent of our Italian honeymoon, a basic caprese salad. We ordered it basically at every meal, excluding breakfast, in every city and village we visited on our adventure. It was perfect for the warm spring evening on our deck. Our main course was a beef pasticcio, we added a copious amount of red wine to the sauce, which cooked the mushrooms to a perfect texture…This heavenly goodness was contained in a 9×13 pan, and it gloriously continued to feed both of us in the next few days. Even though our meal was simple, it was filled with the rustic and fulfilling flavors that we enjoyed on our vacation. And dessert…well, that goes without saying…our wedding cake top. The entire, blessed top of our cake made by the most wonderful pastry chef I’ve ever dreamed of. In case you were wondering, yes, our wedding came together quite perfectly, and our cake is only one of the shining testaments to this. Of course, what meal would be complete without beverages. I’d been itching to use our cocktail shaker and this occasion certainly called for it! 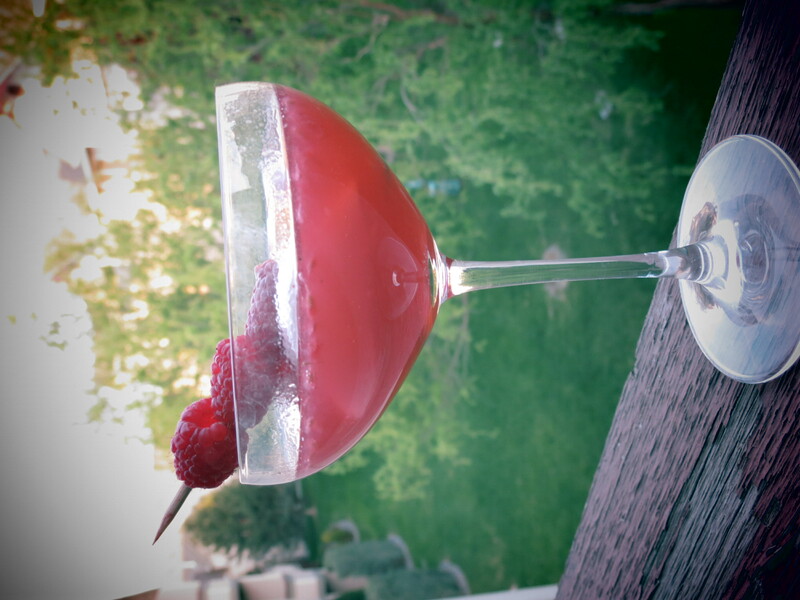 The end result of my concoction is raspberry goodness, not only does it taste divine, it looks purdy too. Trust me, they’ll have a second one. Place 1/3 c. raspberries in cocktail shaker, add lime juice and sugar. Mash and muddle violently on the bottom with a spoon or some sort of kitchen tool, preferably a pestle. Once all the ingredients are combined, include about 3-4 ice cubes into the mixer, tighten the top, and shake. 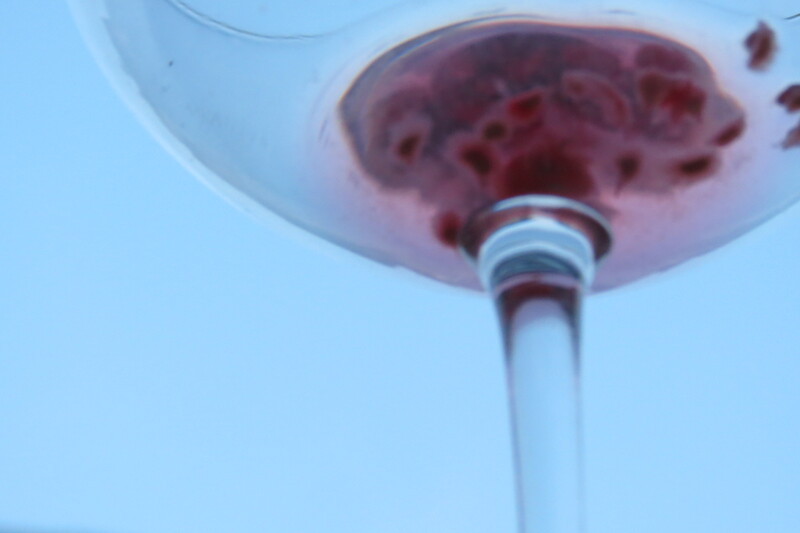 The shaker will begin to chill on the outside; continue shaking until the inside looks like a syrupy raspberry jam. Then, add the gin, about 2 – 2 1/2 shot glasses worth. Shake for about 30 seconds. 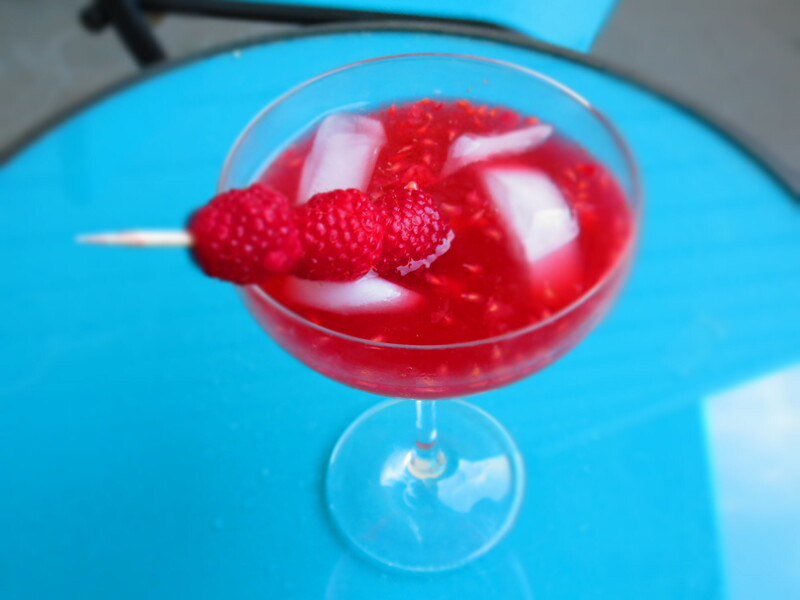 Add a few extra ice cubes and a 1/4 cup of ginger ale , to each cocktail glass, and carefully pour the raspberry goodness into the glasses. 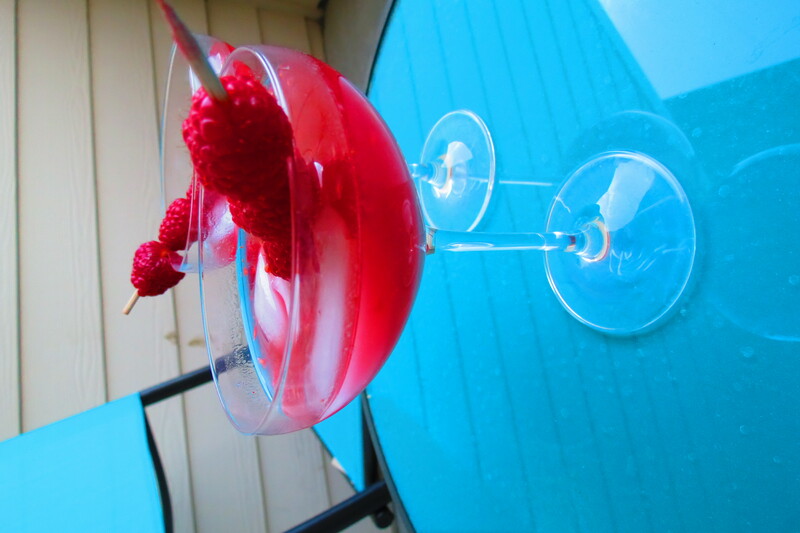 Garnish the glasses with a few extra raspberries and give to someone you love. I definitely want one of these cocktails on the patio!! I love the dinner story and I am sure that you both enjoyed yourselves; great cooks!!!! I cannot believe it has been a year, wow!! The dinner sounds simply romantic:) love you guys!